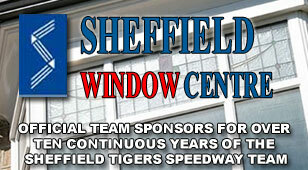 Sheffield Tigers Speedway Official Website: RICKY'S OWLERTON RETURN! 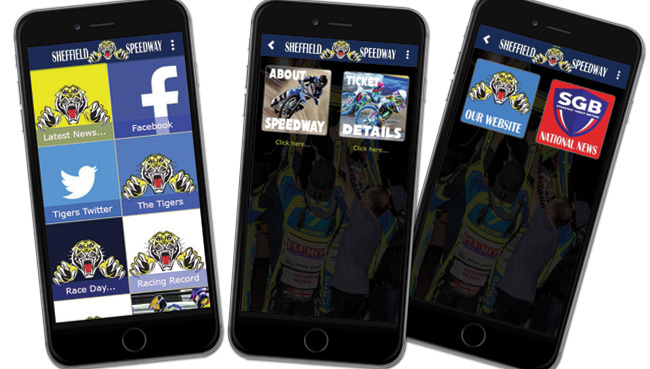 SHEFFIELD Tigers legend Ricky Ashworth, who was left with serious head injuries in a career ending crash just over five years ago, will be back on the Owlerton track this Sunday. Ashworth was a firm favourite with Tigers fans and still holds the track record at his former track. And although he can no longer race on a 500cc machine with no brakes, remarkably he has taken to riding a tandem and completed laps at the velodrome in Manchester which attracted national headlines. Now he will do four laps of Owlerton for the first time since his career ended – and he almost lost his life – at Sheffield’s 90th anniversary meeting on Sunday (4pm). After the Leicester meeting Ashworth took to social media and wrote: “I had such a good day with my Dad, Step Mum and the Speedway family you guys are the best thank you. 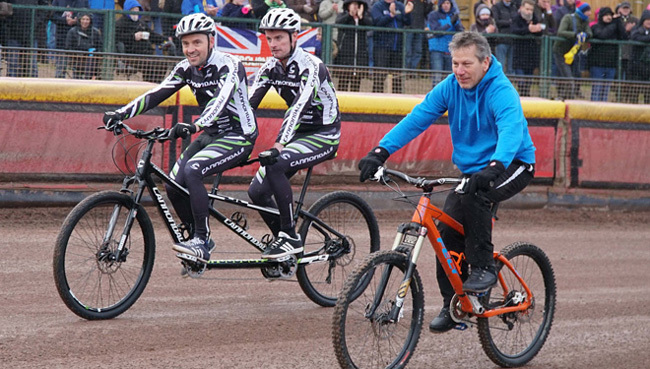 PICTURED: Ricky Ashworth rides a tandem at Leicester on Sunday with 1993 World Champion and former Tigers rider Sam Ermolenko on the solo bike.